5) What did it look like originally? 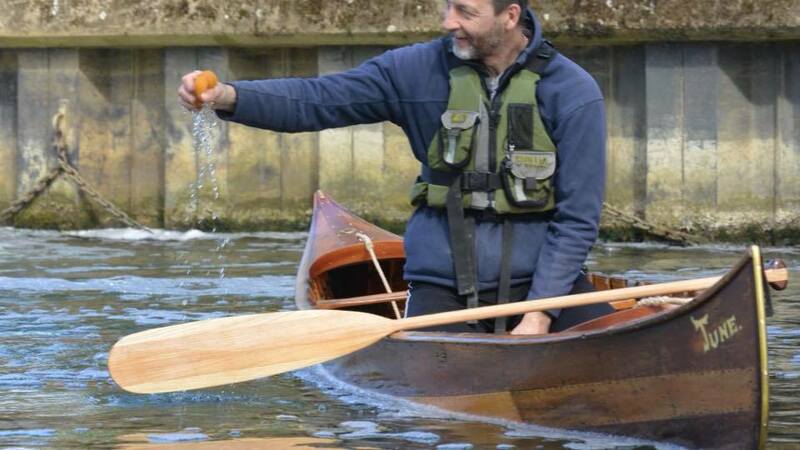 Mike Wootton asked the WCHA about his Old Town canoe. It was built in 1937 and was shipped to Portland, Maine. 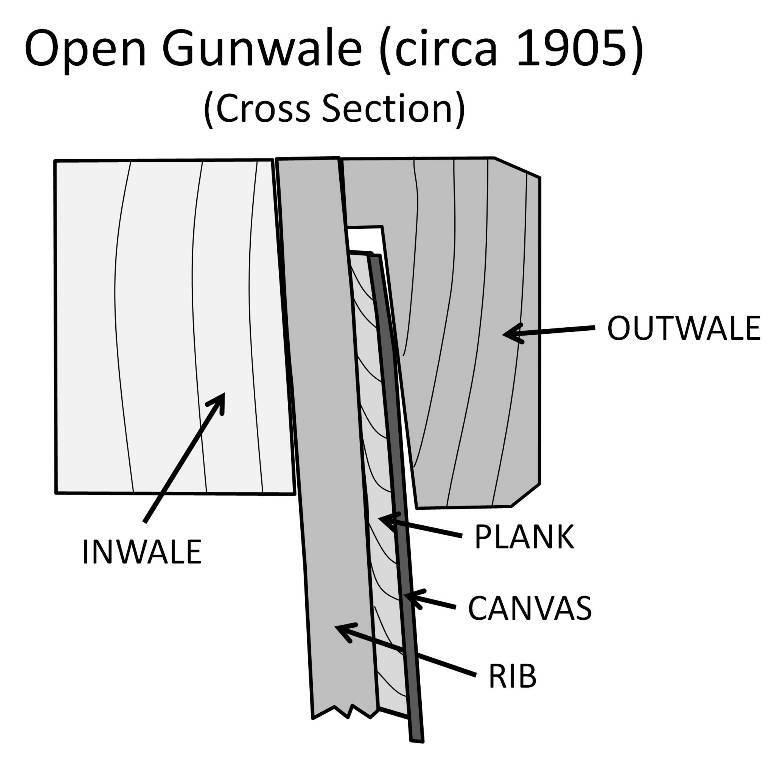 The decks, thwarts and seats are oak, the gunwales are spruce and the canvas was painted dark green. He added the Old Town design number 1 as a finishing touch. He then showed it off at the 2016 spring meet of the Northwest Chapter of the WCHA. 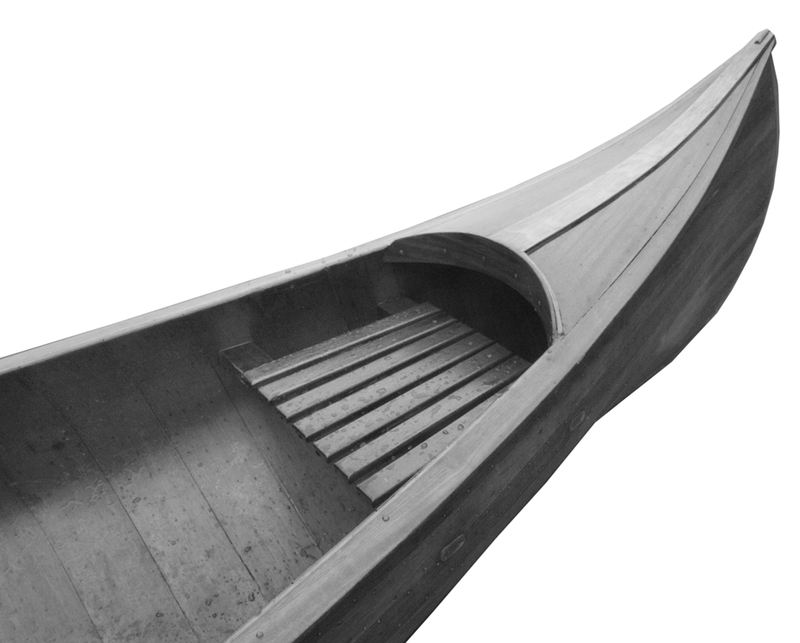 WCHA – The first place I go for information about a new restoration project is the Wooden Canoe Heritage Association (http://www.wcha.org). They are an amazing resource. One of the things they do is to host an on-line forum. When you ask a question, there are often several people quick to respond with help, advise, guidance and historical information. Mike Wootton asked the WCHA about his Old Town canoe (serial number 120233). 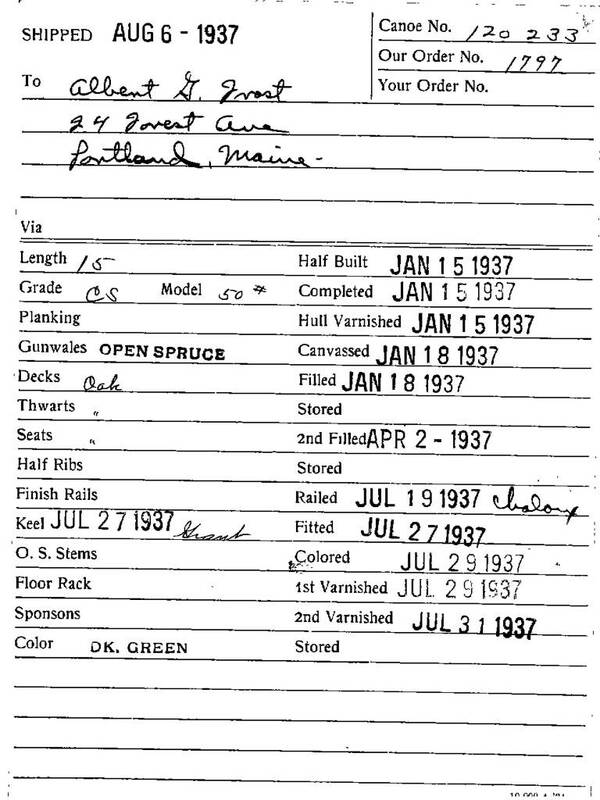 They sent him a scan of the original build record. He used the information to complete the restoration. Part of the forum is a build record search. They have archived a complete collection of Old Town, Carleton and Kennebec canoe company build records. 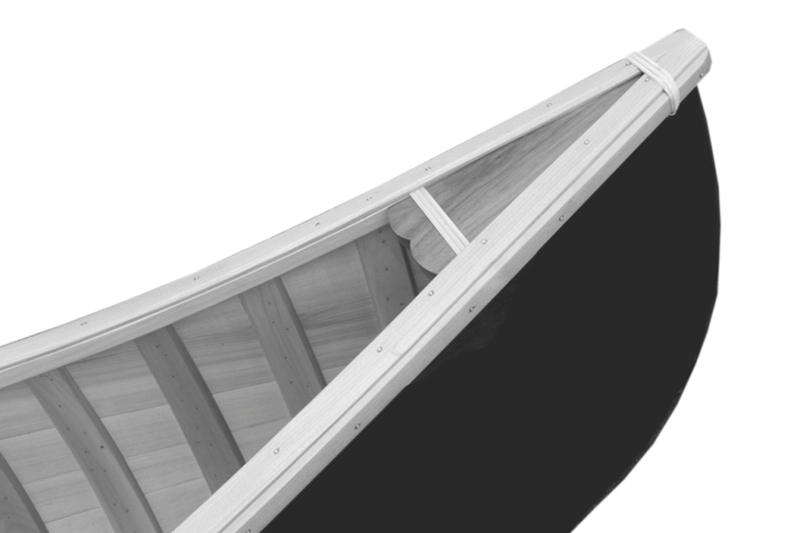 If you have the serial number from your canoe, they will send you a scan documenting when it was build, the model, colour and style as well as to whom it was shipped. 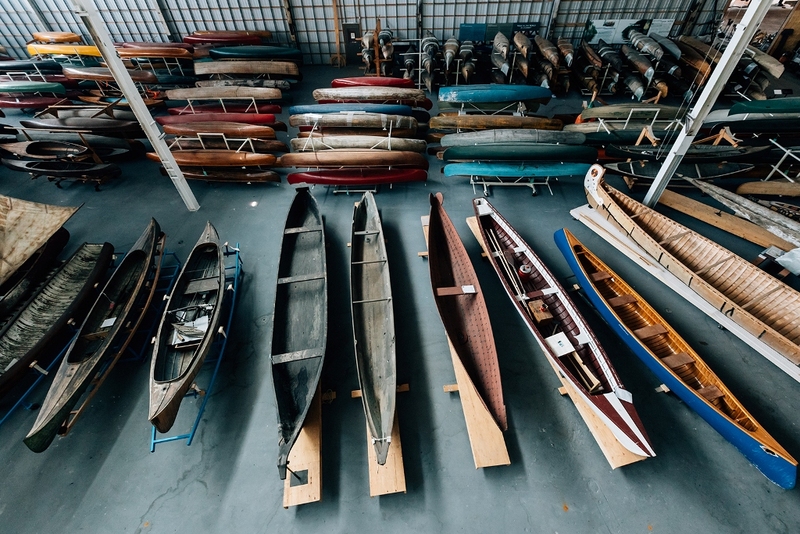 Canoe Museums – The Canadian Canoe Museum in Peterborough, Ontario houses a collection over 600 vintage canoes and kayaks from around the world. 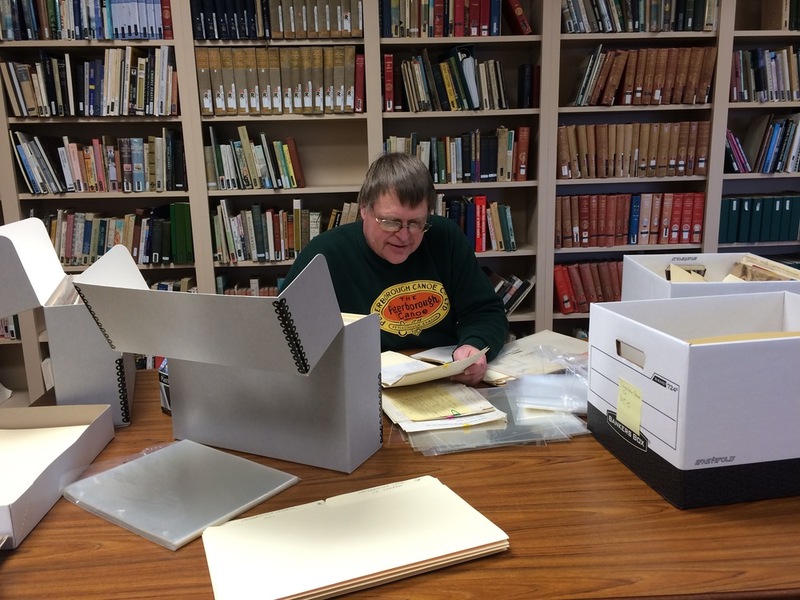 In addition, they house a large archive of canoe-related documents. It is worth becoming a member and spending the time to dig through their collections for the information you are looking for. 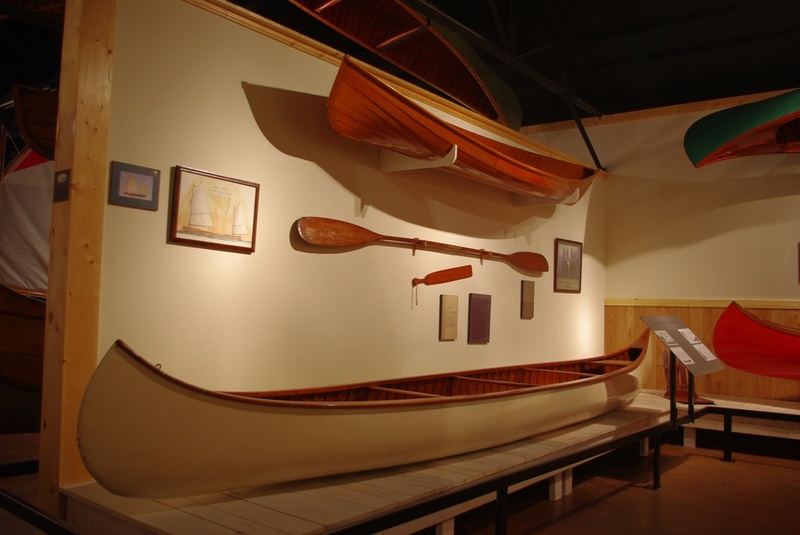 Another source of information is the Wisconsin Canoe Heritage Museum in Spooner. 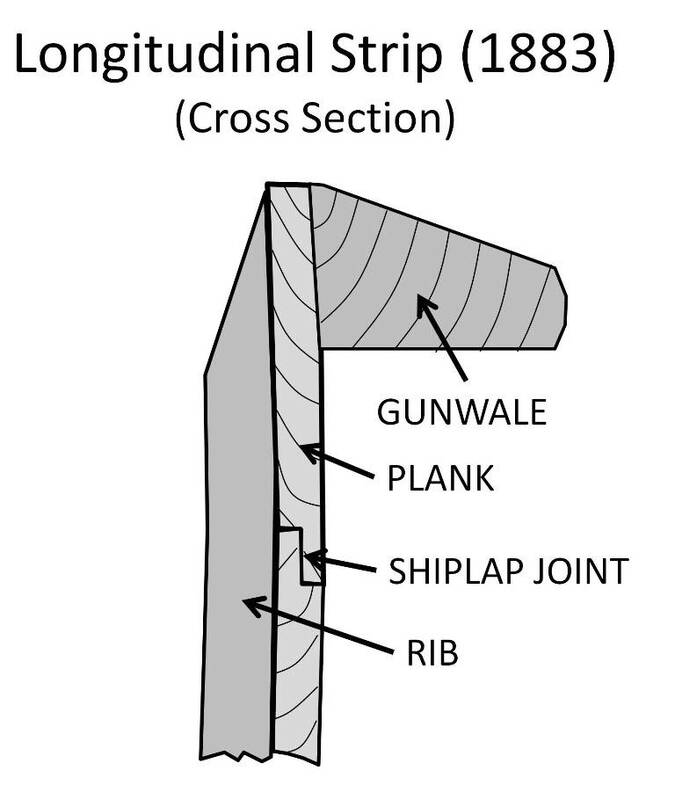 It has a small, yet comprehensive collection of primarily American-built antique canoes. 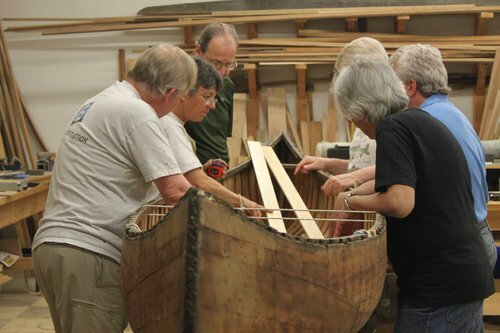 Both of these museums include workshop facilities and run regular classes teaching canoe restoration techniques. 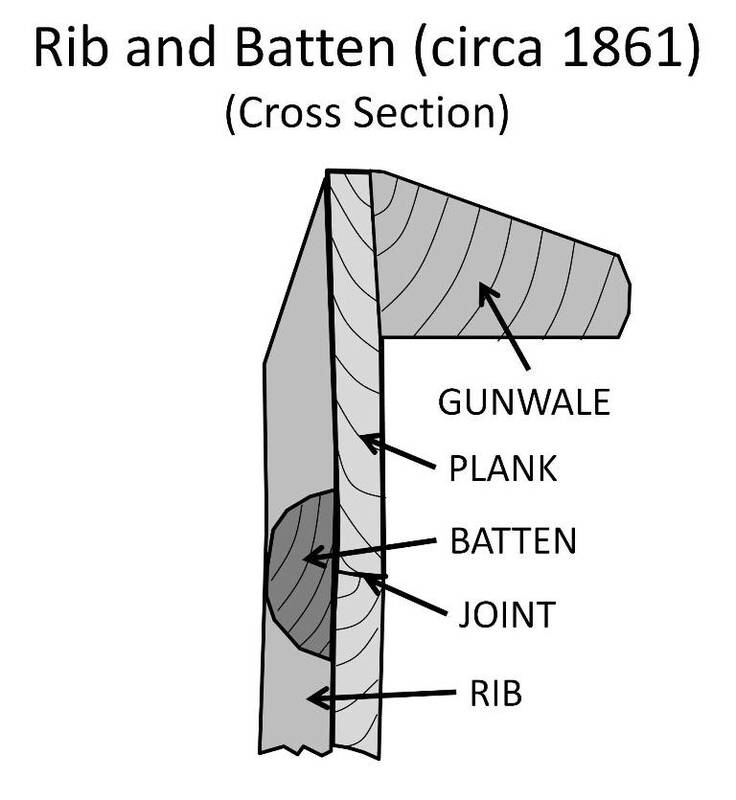 They can also connect you with canoe restorers who have experience dealing with specific types of antique canoe. It is also worthwhile to venture into every small museum and gallery you come across in your travels. Old canoes often create a focal point in community collections. When you find a canoe you are looking for, ask the curator for permission to measure the canoe and take notes on its construction. 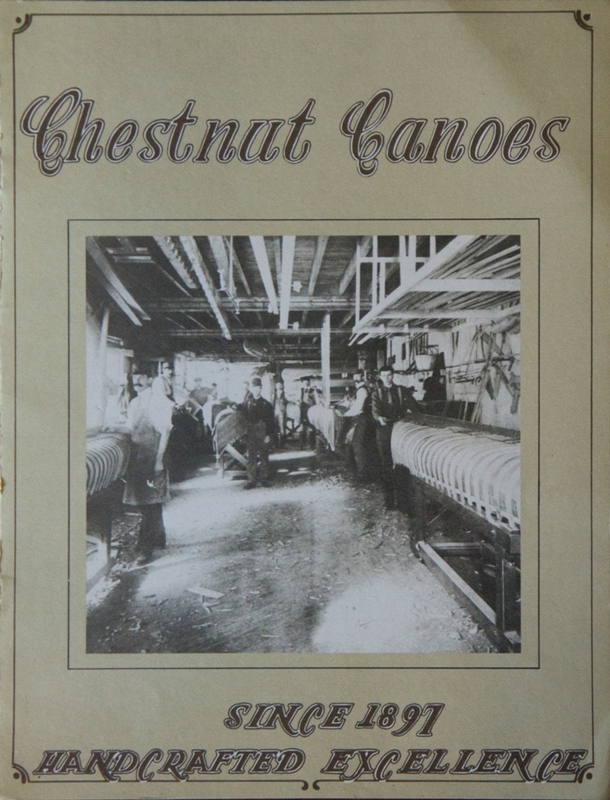 Old canoe company catalogues are sold regularly on ebay and other on-line sites. On-Line Searches – Once you know the make and model of your canoe, it is often helpful to enter those words into on-line search engines. You never know what may happen to be available for a week or two. Written articles, blog posts and images from boat shows (to name a few) will be available on-line for a limited time. Check on a regular basis to see what is newly posted. Also, see what is being sold on ebay. 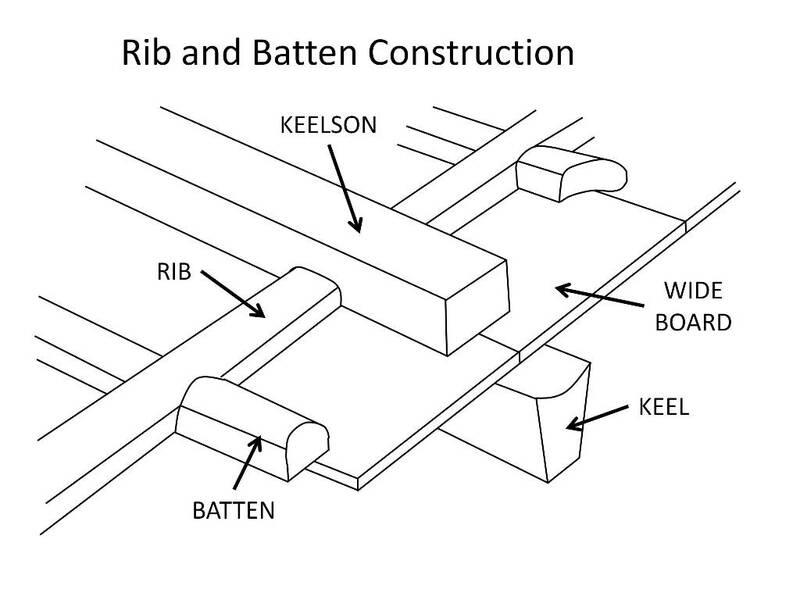 There may be a listing for exactly the same canoe you are working on. Canoe catalogues are also sold regularly on ebay. 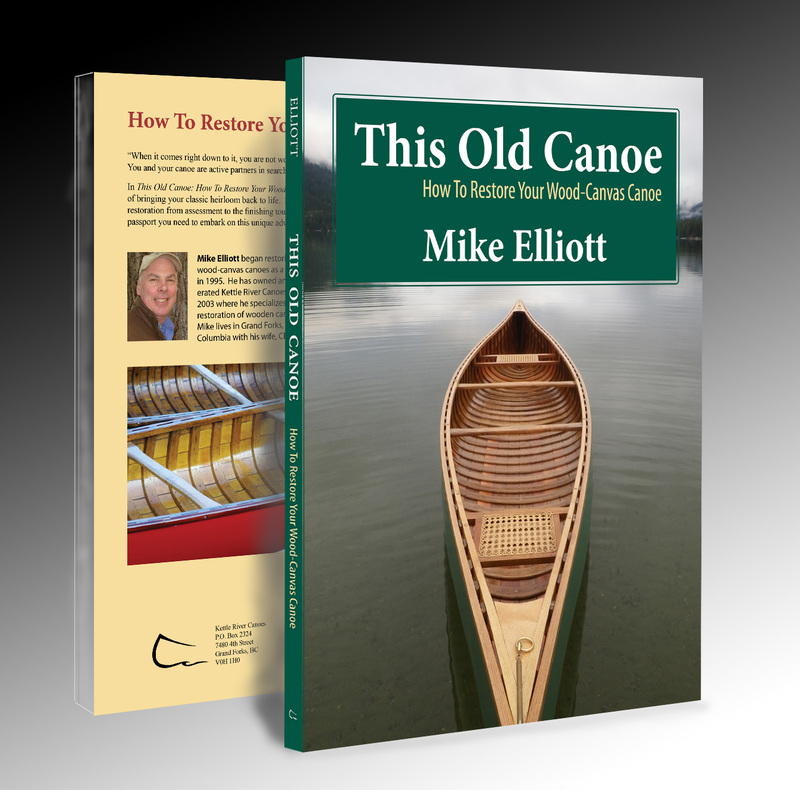 If your canoe is an Old Town, and you known the year it was built, it is possible that the catalogue for that year is being sold on-line. 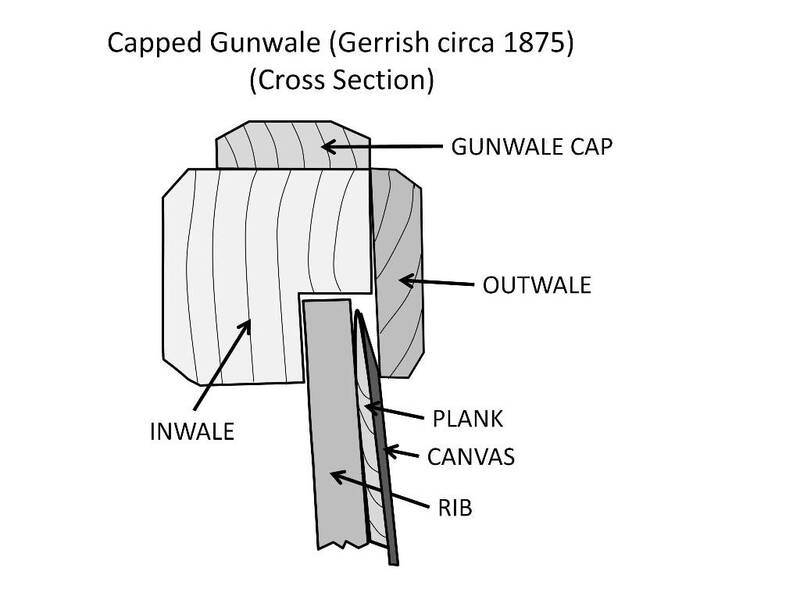 Catalogues – As you begin to plan your restoration, the canoe catalogue for your make, model and year can often provide a wealth of specific information about how your canoe was constructed, the woods used for the various components and perhaps examples of decorative designs painted on the canvas. 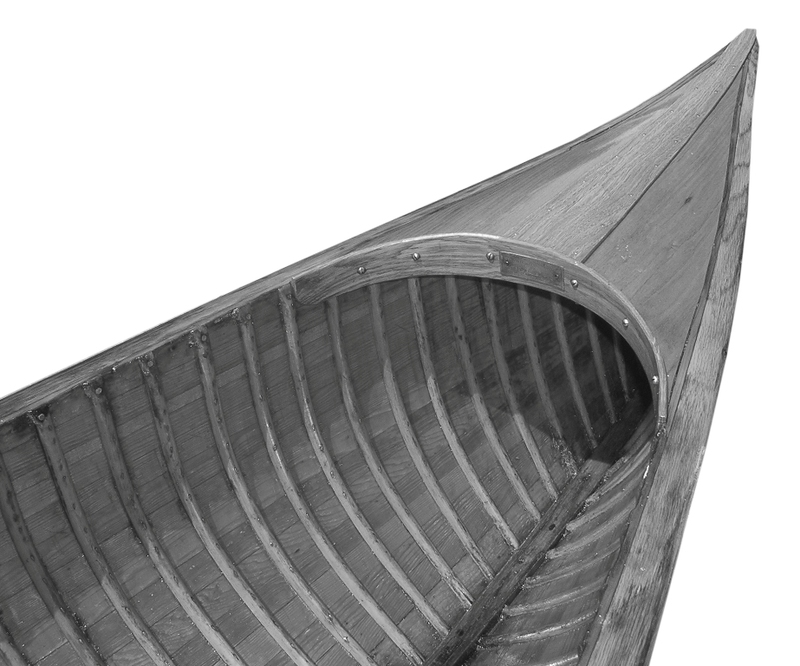 The WCHA has developed an impressive collection of historic canoe company catalogues for sale. 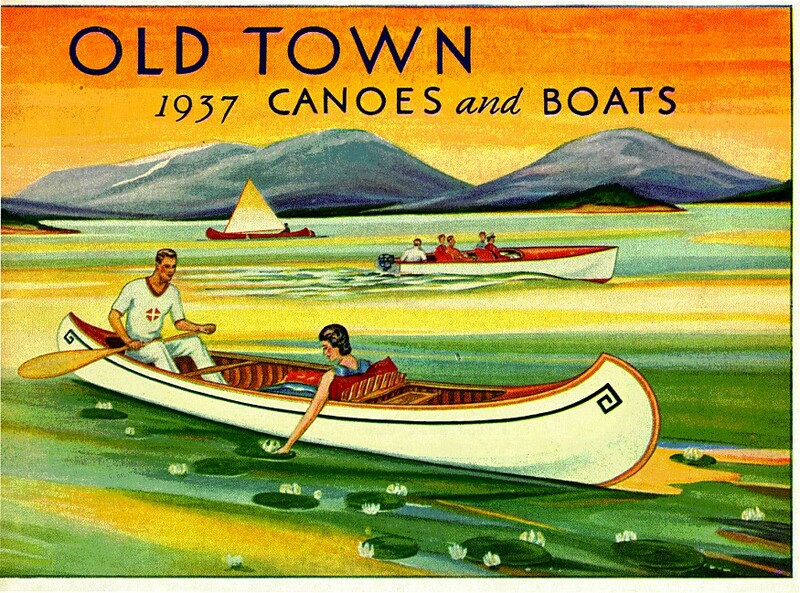 From their on-line store, you can buy reprints of a wide variety of vintage canoe company catalogues (both Canadian and American). Large collections are also available on USB memory drives. 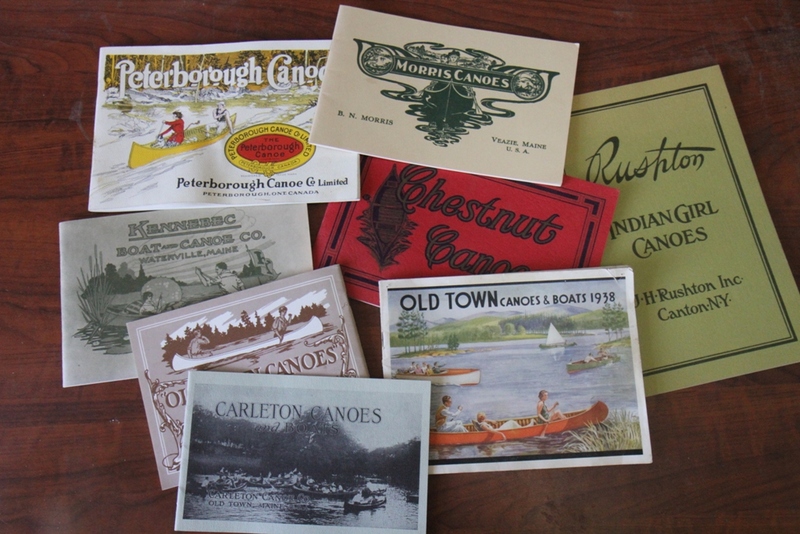 These include: 1) a collection of 73 catalogues from 12 Canadian companies; 2) a collection of 50 Canadian and American companies; 3) a collection of every page of every Old Town Canoe Company catalogue from 1901 to 1993 and; 4) a collection of Thompson Brothers catalogues from 1907 to 1970. 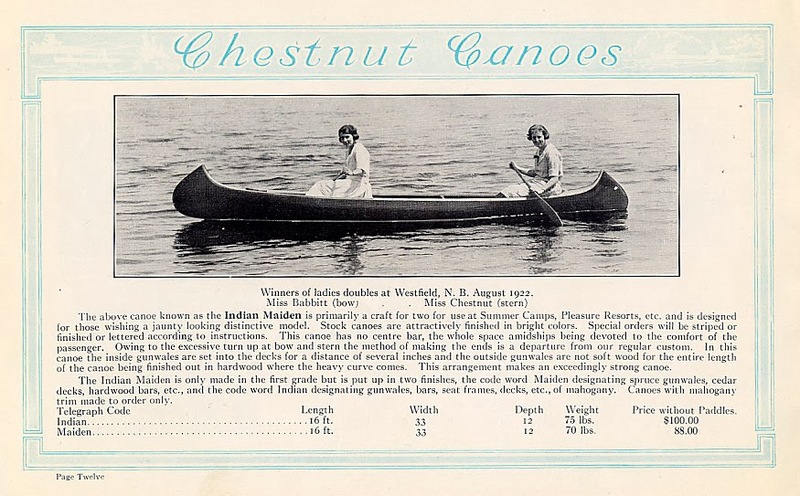 The front cover of the 1978 catalogue for the Chestnut Canoe Company. My client designed the catalogue which turned out to be the last one ever produced. 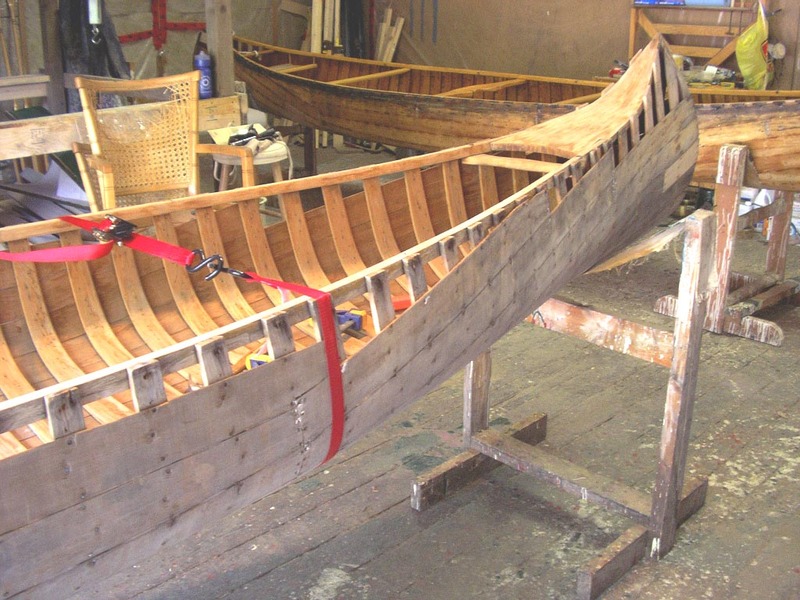 The Last Chestnut (How research helped bring a canoe back to life) – In 2006, a client came to me with his Chestnut canoe which was in desperate need of restoration. He designed the 1978 catalogue for the company. When asked what he wanted in terms of payment, he requested they build an Indian Maiden canoe for him. It had been almost 20 years since they last built that model. They found the building form buried in mud behind the factory. They rebuild it and decided to build a special edition series of 300 canoes. They worked out the process by building a prototype and then built the canoe for my client (a special plaque on the bow identifies it as 001 of 300). 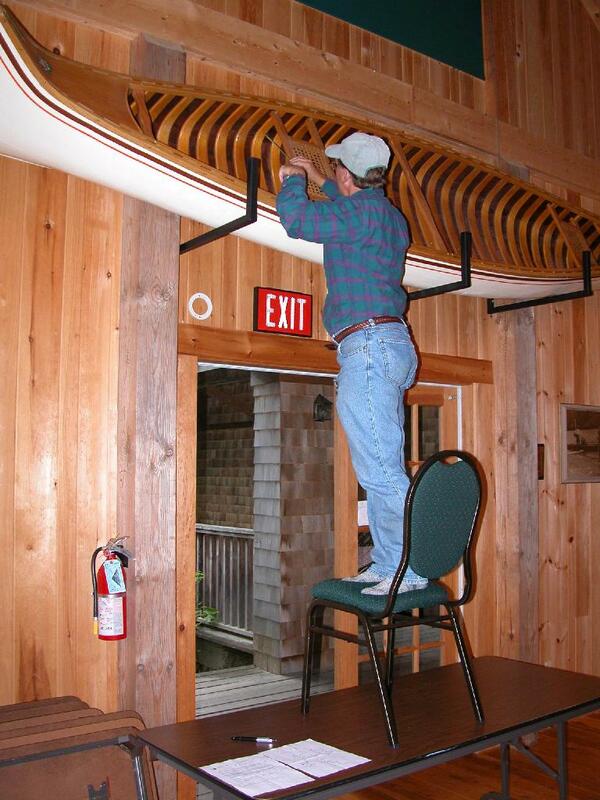 He took possession of the canoe directly from the factory in December 1978 and they closed the doors behind him. They were out of business. When the canoe arrived in my shop, many components were missing and I had never seen another like it. 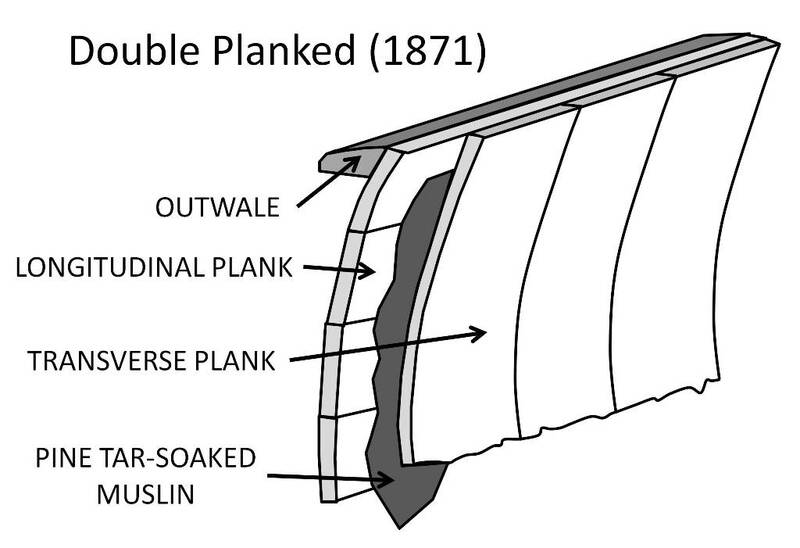 In an on-line search, I found an article from the University of New Brunswick talking about a canoe that had been hidden away in the basement of a building on campus. The article identified it as a Chestnut Indian Maiden built in 1978. The university had just donated the canoe to the Wild Salmon Nature Centre in St. Andrews by-the-sea, NB. My sister and her husband live in Maine about two hours drive from St. Andrews. 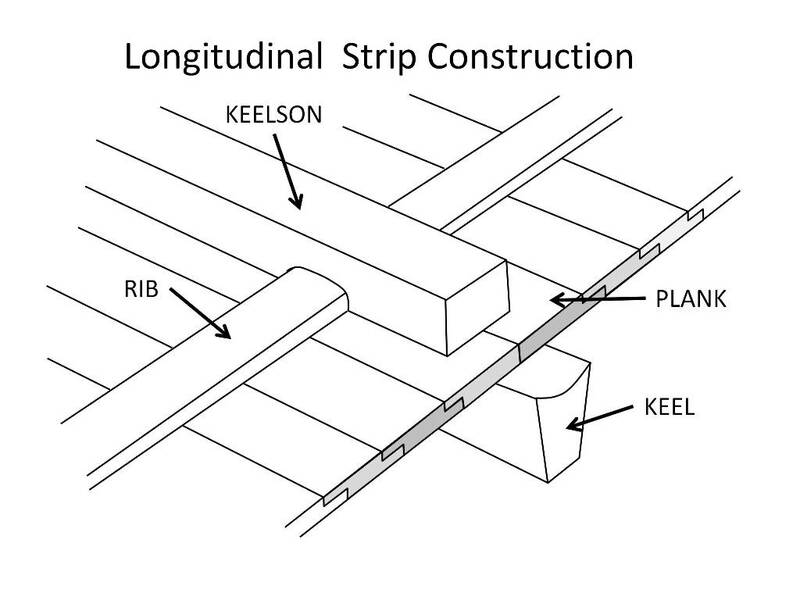 I told them about my project and asked them to collect dimensions for a number of components on the canoe. They readily agreed and took on the research project as only two wildlife management PhD’s can. 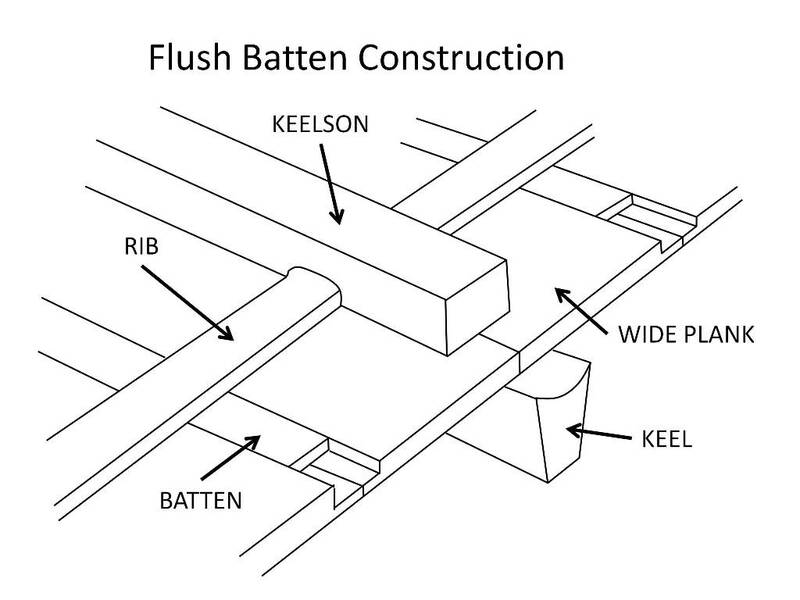 A couple of weeks later, I received a package full of photos, measurements, drawings and notes. My restoration concluded successfully thanks to lots of research. After publishing the story, I received an email from someone in Toronto. His brother had seen the Indian Maiden on display at the Canadian National Exhibition in the fall of 1978. Apparently, he was the only person to order one. 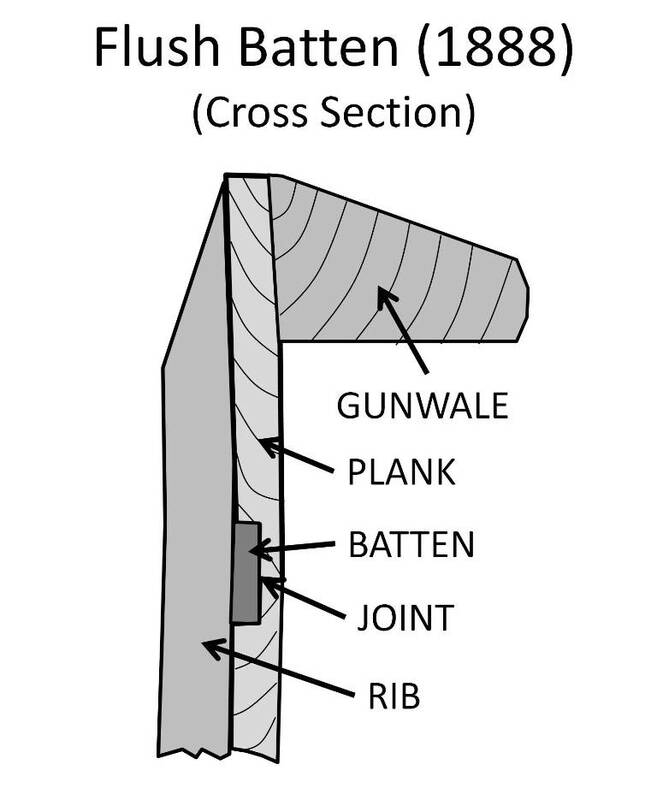 The plaque on the bow identifies it as 002 of 300. 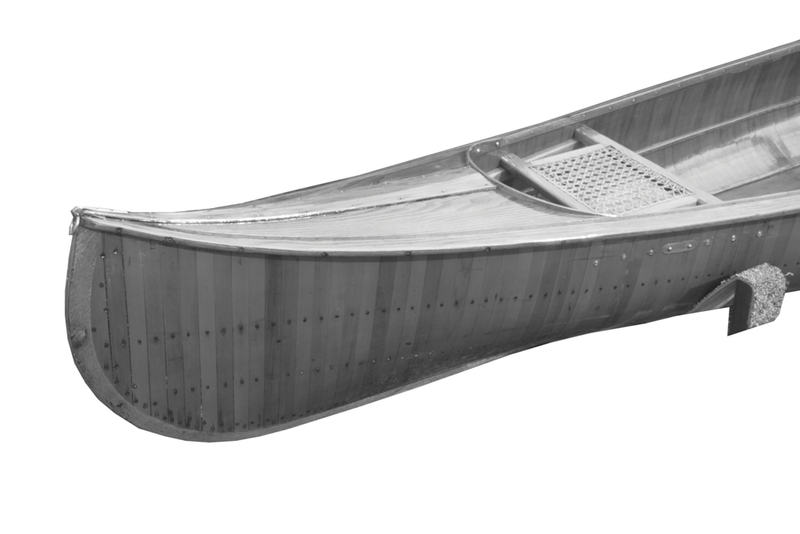 To my knowledge, it is the last canoe ever built at the factory. Frequently, I get an email from someone who is looking to sell their wood-canvas canoe. Typically, they tell me, “The canoe has been stored under-cover for the last twenty or thirty years and is in excellent shape. 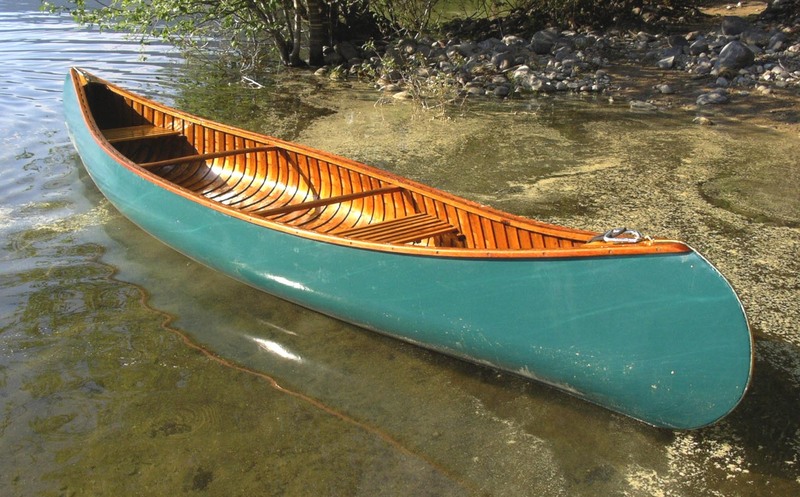 What would be a reasonable price to ask for my canoe?” Conversely, a person is considering the purchase of an old canoe and wants my opinion on whether or not the asking price is a reasonable one. In both cases, the best I can do is refer them to what I see on classified ads offering other wood-canvas canoes for sale. I guess the simplest answer is: “It is worth whatever someone is willing to pay.” I have a hard time seeing these canoes as commodities. That is why I am in the business of repairing and restoring wood-canvas canoes. 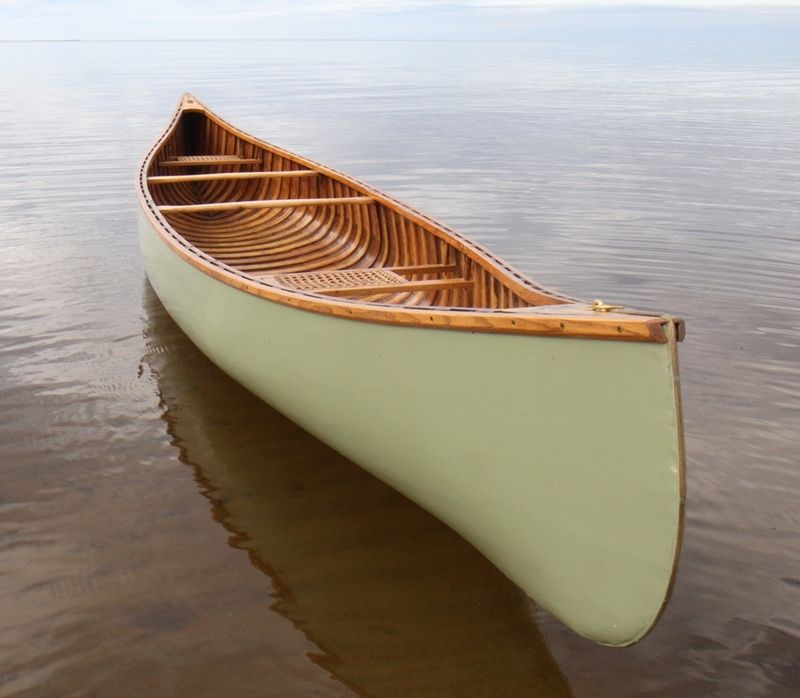 My clients tend to value their canoe based on a set of criteria far removed from monetary concerns. That said, wood-canvas canoes are bought and sold. Most of them are at least thirty years old and range in condition from pristine to ‘ready for the burn pile’. So, let’s look at the market and what tends to be ‘the going rate’. 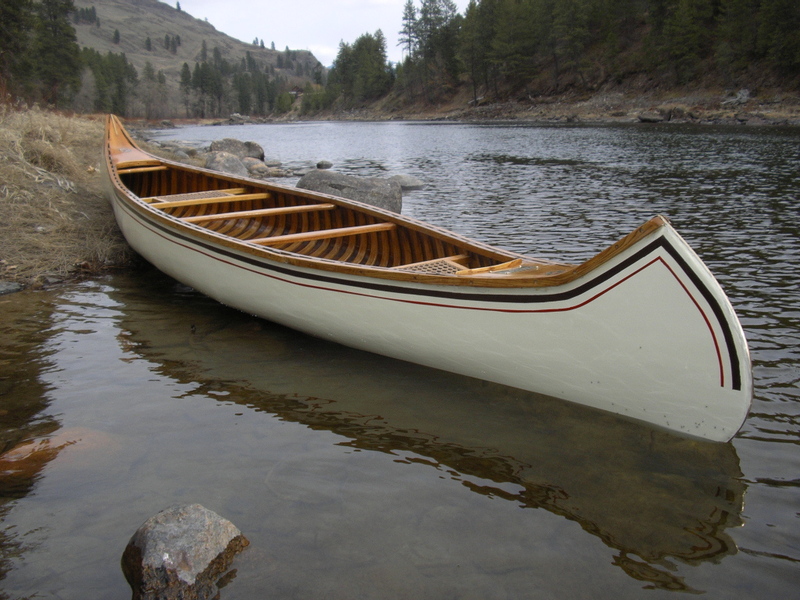 Fully restored wood-canvas canoes tend to be listed in classified ads in a range from about $3,500 to $7,000. 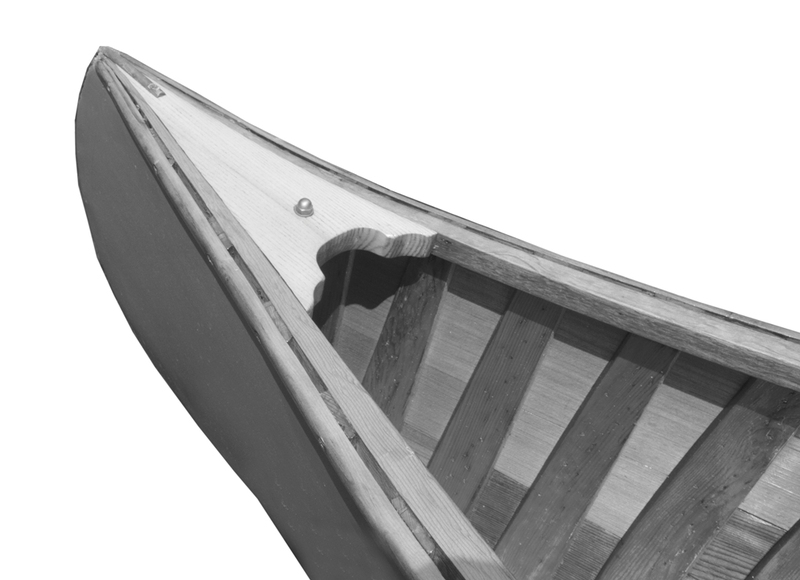 Bear in mind that a brand-new Old Town 16′ Guide canoe – made by hand on the original mould – currently sells for $9,000 USD (about $12,000 CAD). Serviceable canoes that need some work tend to be offered somewhere in the neighbourhood of $1,500 to $2,500. 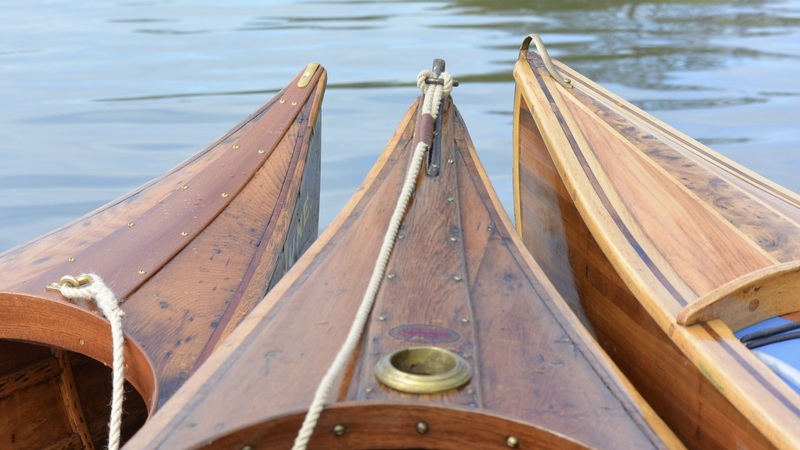 Canoes requiring a full restoration can be picked up for $50 to $500 (and sometimes you can get the canoe because you are willing to cart it away). When people ask for my opinion on a specific canoe, I base my answer on what a professional canoe restoration shop would charge to bring it back to ‘like new’ condition. 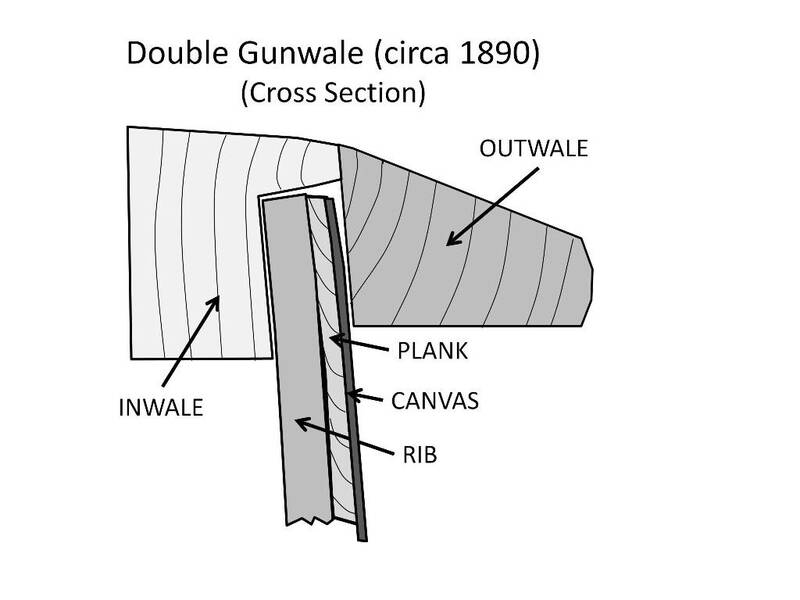 Almost any ‘original canoe in mint condition’ will require a new canvas. Unfortunately, the original canvas will only last about forty years (Oh, how I long for a return to the days before planned obsolescence). 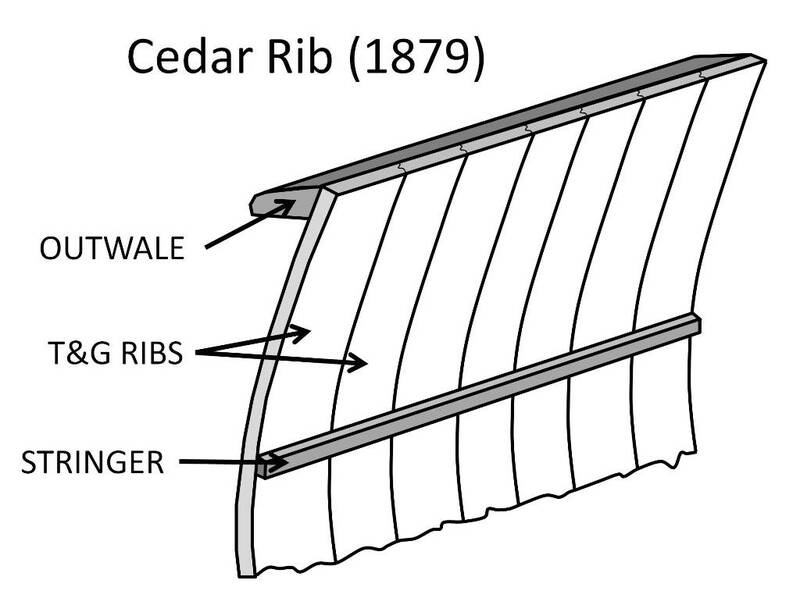 If the work is done by a professional canoe restorer, you are looking at spending about $2,000 to $3,000 after you have bought the canoe (all of these prices are in Canadian dollars). If the canoe ‘needs a little work’, be prepared to pay for a full restoration which could cost in the range of $3,500 to $5,500. And if it is a ‘basket-case’, the bill could far exceed what you would get for it if you ever decided to sell it (not unlike the cost of renovating an old house). 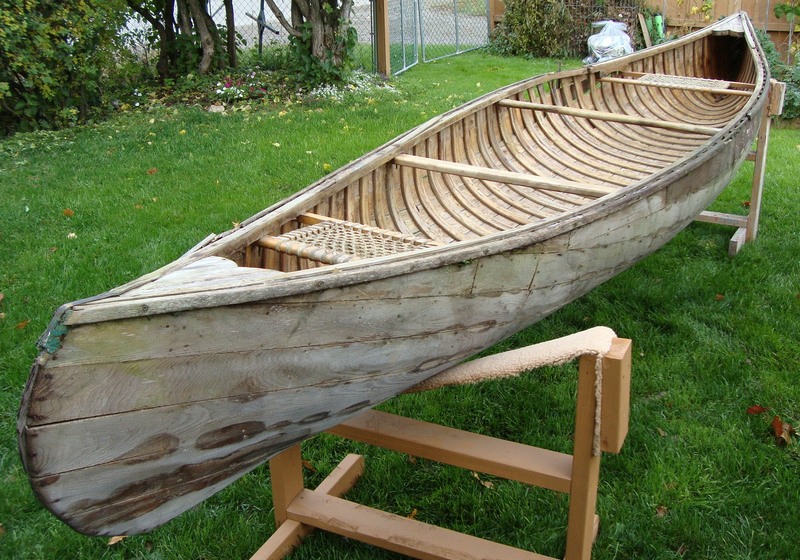 So, when you see a fully restored canoe listed in a classified ad for $4,500, they are probably just trying to recoup the cost of the restoration. 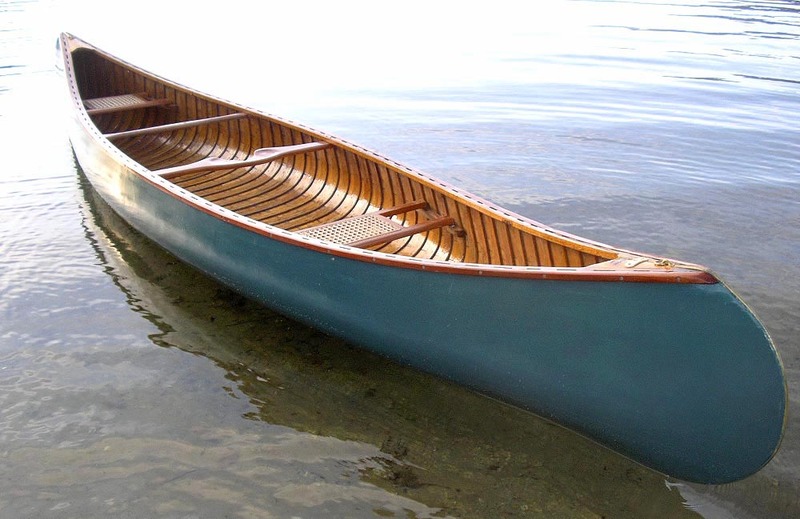 About fourteen years ago, I bought an original Greenwood Canoe for $900. The bulk of the woodwork was in excellent condition and the interior varnish was still in very good condition. The canvas was original (about forty years old) and although it was not rotting, it needed to be replaced. 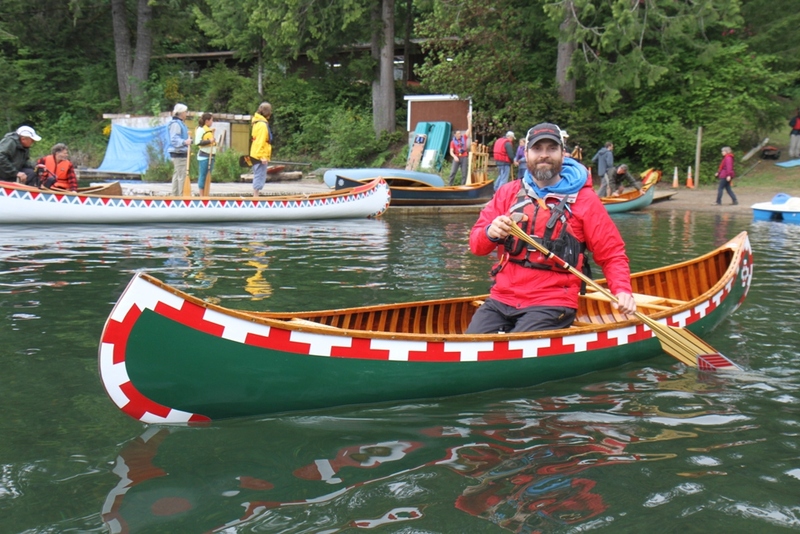 Greenwood canoes are well-known to wood-canvas canoe enthusiasts in British Columbia. 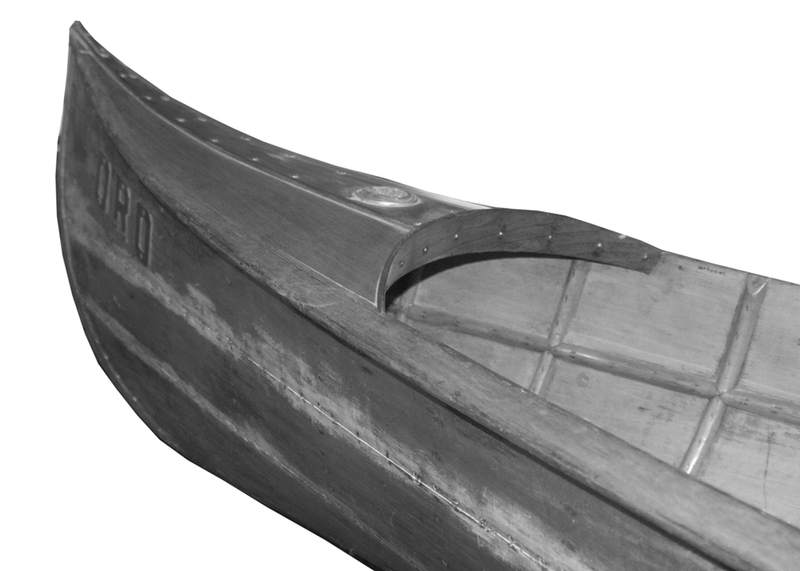 Bill Greenwood built canoes in Richmond, BC from the mid 1930’s to 1975. His workmanship was unequalled not to mention all of the Philippine mahogany (luan) used in components such as gunwales, decks and thwarts. Anyone who knows these canoes bows their head in reverence whenever they speak of Bill Greenwood and his canoes. In my shop, I brought the canoe back to life. The original mahogany outwales were shot, so I replaced them with exact copies. I added a couple of coats of varnish to the woodwork and painted the new canvas the dark green that was typical for Greenwood canoes. 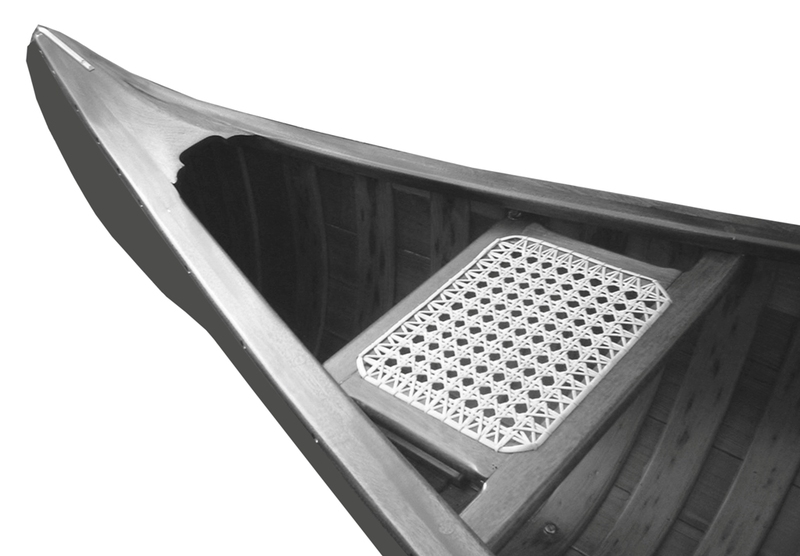 The next spring, I replaced the original slat seats with mahogany-framed hand-woven cane seats in the style of Greenwood canoes. I removed the bow-quarter thwart, installed a mahogany carrying yoke and moved the stern-quarter thwart to a position halfway between the stern seat and the centre yoke. 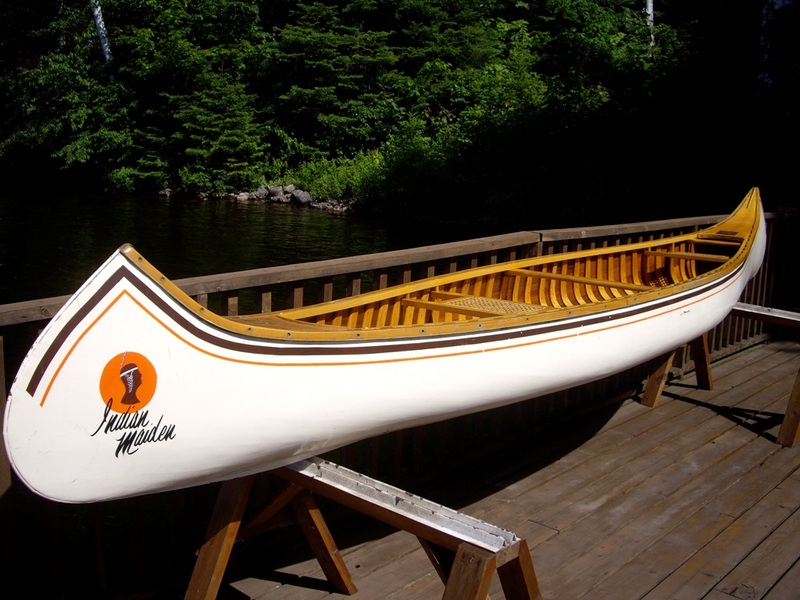 I had no intentions of selling this canoe and, at that time, I had not seen a restored canoe sell for more than $2,500. 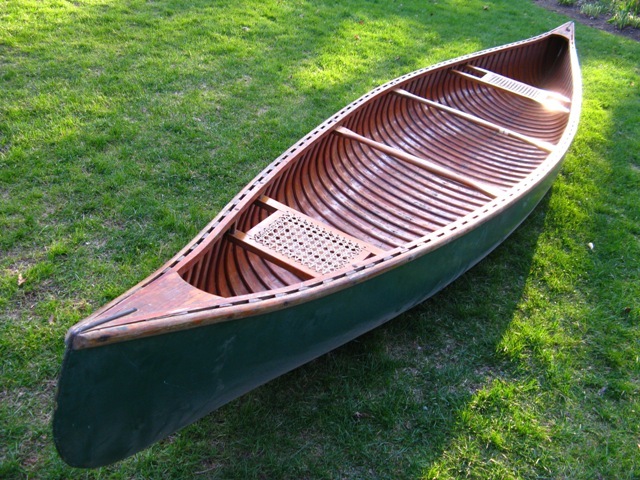 So, when anyone asked me how much I wanted for it, I told them, “The canoe is all yours for $4,500.” In 2008, someone fell in love with my canoe and handed me a check. If you are selling, it is possible to get the price you are looking for. Just be prepared to wait a long time for that ‘special someone’ to come along. 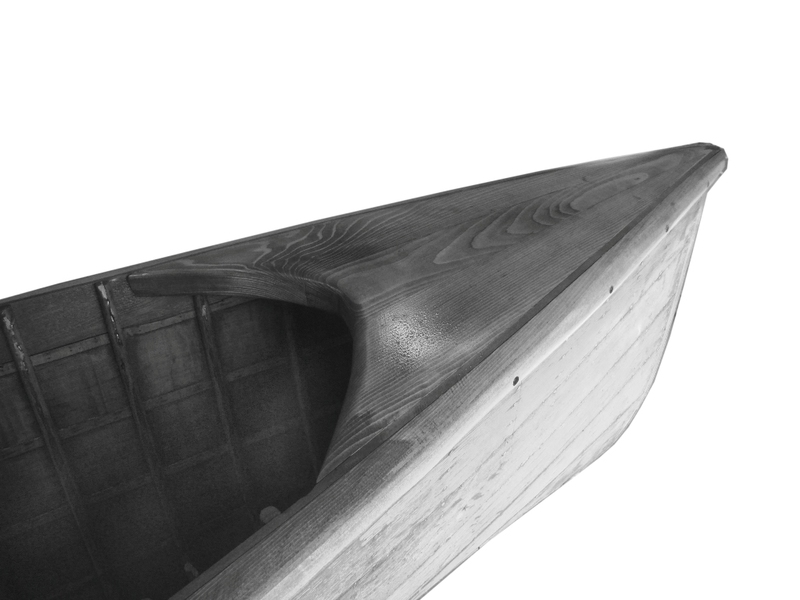 If you are buying, be prepared to factor in the cost of a full restoration once you have purchased the canoe.